Although petty criminals are often considered to be a brainless bunch of hooligans, a recent survey carried out by smart alarms provider, Verisure, has revealed that they are using more sophisticated techniques than ever to target their victims. In fact, a recent study found that 25% of burglars now tag their target’s location when they travel. As a result, an innocent selfie in the airport celebrating your impending vacation could quickly turn into an open invite to your home while you’re away. Social media: You’ve undoubtedly come across a post on your Facebook feed of a friend or family member ‘checking in’ to a certain location. Heck, you might have even done it yourself. Although this might seem like a fun way of letting others know that you’re on a trip, it can play right into a criminal’s hands. After all, they now know you won’t be home for a few days, giving them plenty of time to scout out your home and break in when the time is right. What to do: Double-check your Facebook/Instagram privacy settings to make sure that photos or status updates you share are available to view by ‘friends only.’ This way, you won’t be broadcasting to the entire world that you’re on vacation. The long-term parking trick: Thieves regularly cruise the long-term parking lots of airports, to not only steal things from the cars, but also to get ahold of car registrations in the glove compartment. They then drive to the owner's home and rob them. The thieves will often stake out the home first for a day to make sure nobody is actually home, and then they strike. What to do: Don't leave your registration and insurance cards in the car if you are leaving it in long-term parking. Also, you may also want to consider leaving the garage door opener at home. But, when she got to the store, she was told they hadn't called her. Suspecting something was amiss, she hurried home only to find out that her home had been burgled. The thieves had made the call knowing she'd leave to get her purse back. What to do: If you find yourself in a similar situation and get a call from a store, you should look up the store number and call them back. Better still, never leave your purse unattended while shopping! 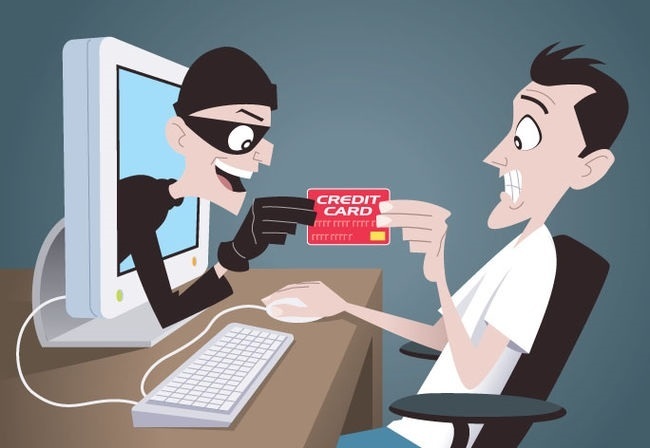 Criminals are becoming more and more intelligent in using the latest cutting edge technology to steal from their victims. Be sure to protect yourself both on and off-line by not falling foul of the tricks that we have revealed today and you will be thanking yourself tomorrow.